The garden of the Art Institute of Chicago are always inspiring. The thick canopy of the honey locust trees create an unreal visionary space and it is one of my favorite locations to take portraits. I had met Laura and Dave during our sunrise engagement shoot at Fullerton beach and I loved working with them. Their wedding day was so laid back. 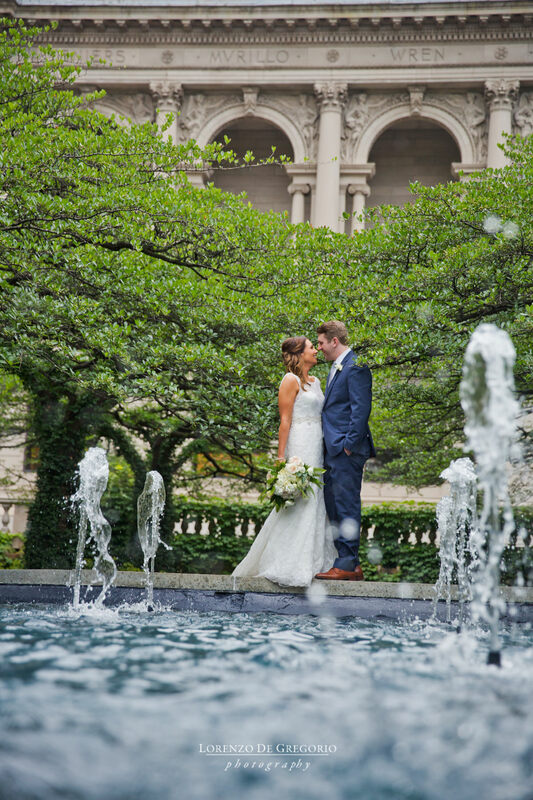 The rain compromised the outdoor wedding ceremony at Galleria Marchetti but it added so much to their Art Institute wedding pictures. A night view of the reception hall at Galleria Marchetti.